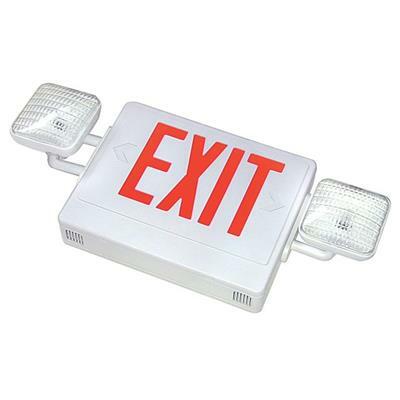 Topaz’s combo LED exit sign and emergency light is energy efficient using less than 4 watts to operate. It includes a 6-volt maintenance free lead acid battery for emergency lighting, when you need it. The 2 emergency lighting heads are glare free and can rotate 180° for maximum field flexibility. The fixture is easy to install with the supplied universal mounting canopy, is UL listed and carries a 5-year warranty.